Doniphan, NE, April 10th, 2018 — In recognition of their commitment to quality, leadership and excellence in the heating, ventilating, and air-conditioning (HVAC) industry, Kayl Heating & Air recently received the 2018 President’s Award from Carrier at a ceremony March 9th in Orlando, Florida. 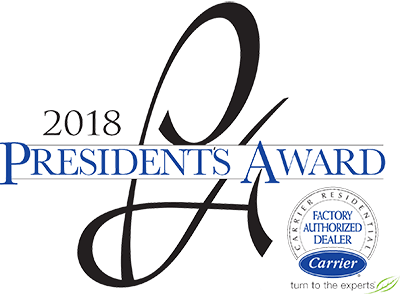 The President’s Award is given to Carrier Factory Authorized Dealers who demonstrate technical expertise while serving as leaders of the community for the Carrier brand and raising the standard level of excellence in the industry. The winning dealerships are committed to a high quality of service and providing exceptional customer care. Kayl Heating & Air specializes in HVAC installations for residential homes, as well as commercial buildings and complete building restorations. Such projects include the Montgomery County Courthouse in Iowa, various public and private schools throughout the Midwest, and the Nebraska State Fair. In addition, the company’s employees have volunteered with local and national organizations, such as Air Conditioning Contractors of America, Habitat for Humanity, the Better Business Bureau, the Grand Island Chamber of Commerce, and the Hastings Chamber of Commerce. The President’s Award is designed to encourage and reward dealers who have excelled in customer satisfaction. 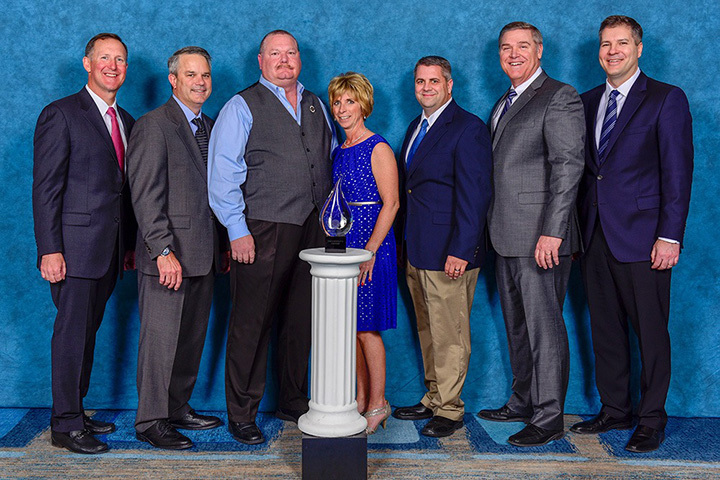 Recipients serve as role models, share best practices, and offer peer mentoring to others to help cultivate excellence across the Carrier dealer group. This award will join several other awards Kayl Heating & Air has received this year, including the Top Performance Award and, for the third year in a row, the VRF Dealer of the Year. VRF stands for Variable Refrigerant Flow Systems, a cutting edge design of air conditioning that Kayl Heating & Air is leading the way on. To learn more about Kayl Heating & Air visit their website at www.KAYL.com or give them a call at 1-800-555-KAYL.